Hello and welcome to another episode of your favorite weekly Android podcast, Attack of the Androids. Mat Lee here, joined on this episode by the great minds of Jeremy Lesniak, Joey Kelley, and Eric Finkenbiner. Seth Heringer has the night off. In this episode we talk about some cheap phones of the moment including a penny Galaxy Nexus over on Amazon. We discuss Willow Glass, the combo Windows 8 Android ICS tablet, Microsoft Office VS Quickoffice, some cool E3 announcements, and so much more. Keep reading more for links to articles and of course, this weeks app picks. If you want to watch the full unedited uncensored version of Attack of the Androids, check out AotA TV or this Tech Show playlist on YouTube. Salutations and welcome to episode 37 of our weekly Android podcast, Attack of the Androids. Mat Lee here and boy oh boy do we have a great show for you! Remember, you can join us live each week on AotA TV and interact with us during the live show in the chat room. You can also watch the live show after the fact on this nifty little YouTube playlist. 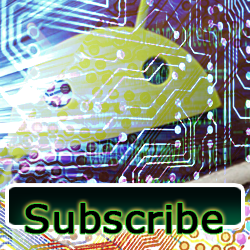 Be sure to tell your Android fanboy and fangirl friends about the show, subscribe in iTunes and write us a quick review. Thanks for listening and keep on reading for links to discussion topics and of course, this week’s app picks! Welcome once again to another episode of our weekly Android podcast, AotA. Mat Lee here, and joining me tonight we have Eric, Jeremy, Joey, and Seth. Be sure to catch AotA live every Tuesday evening on AotA TV and get in on the real time action. We are streaming live on Google+ using Hangouts on Air, which means you can always go back and check out the latest episode in beautiful HD (well almost) living color. It also means you should add Attack of the Androids to your Google+ circles so you can join the hangout. Ask questions, get involved with our discussions, or just sit back and laugh at our witty banter and dislike for the major carriers. On tonight’s episode we talk about HTC OneX variants getting held up at the border, we burst your Google Glasses hopes and dreams bubble, some Android gaming goods, we revisit the Oracle VS. Google trial, and school you guys on how NOT to get bit by mobile flash malware. All this, our app picks, and so much more past the break on this week’s episode of Attack of the Androids. Welcome Android freaks and fans to episode 30 of Attack of the Androids. I’m Mat Lee, and joining me this evening we are the three amigos. Joey Kelley, Jeremy Lesniak, and me make three. We have Ant Pruitt from YATS join in a little later in the show. What a great episode we have for you, starting things off with some Android security news, talk about the latest email phishing scam to grace our inboxes. I’ll give you a hint, it looks like it came from Verizon Wireless. Our favorite photo filter app sells to our favorite social network for a ridiculous amount of money, and some BlueStacks Beta news. All this plus our app picks on episode 30 of Attack of the Androids. Make sure you are subscribed to the show in iTunes, and while you’re there, make sure to leave us a quick review. I also write about Android during the week over on groovyPost.com. Stop by my author page and learn something new about Android. Check the upper right for our social buttons. Thanks for listening! 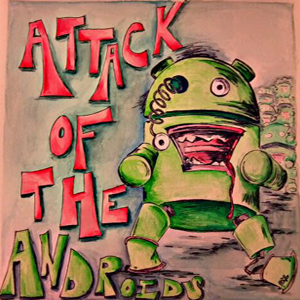 Welcome to a very special episode of you’re favorite weekly Android podcast, Attack of the Androids. On episode 28 this evening, we have Joey Kelley and myself from the AotA crew, Ant Pruitt from YetAnotherTechShow.com and Joey’s friend and long time AotA listener, Kyle! Thanks for joining us and as always, if you ever have any questions, comments or concerns, you can email show@attackoftheandroids.com, leave us a comment on the show notes, or drop us a comment form on the Contact Us page. Also please make sure you are subscribed to the show, and if you use iTunes, take a quick moment and write us a review! Keep reading past the break for links to articles, and of course, this weeks AotA app picks!